Challenges Completed: I only did three this year: Once Upon a Time, The Great Blogger Book Swap, and the People Of Color Challenge. I hit my goal in the POC challenge, finished the Once Upon a Time, and did less than I hoped on the Great Blogger Book Swap. I’m wondering if I should just be done with challenges for a while. The Wink-Wink, Nudge-Nudge book: good heavens. I shelved a lot of romance fiction, but didn’t read a single one. Favorite worst title: The Oldest Living Married Virgin. Number of Shakespeare plays I read: 1 – Twelfth Night. And we saw Taming of the Shrew, and about a third of Troilous and Cressida. The latter one was rained out. 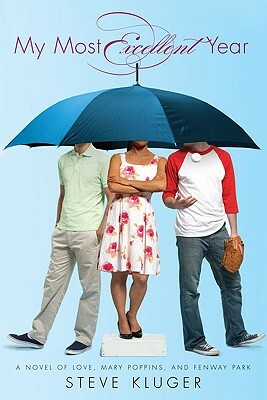 Favorite Reviews: It’s not terribly clever, but I really enjoyed being part of the NerdsHeartYA tournament this year. Favorite Challenge (that wasn’t hosted by Carl): Flashback Challenge: It was fun rereading books this year! Number of Shakespeare plays I read: 1 – Much Ado About Nothing (and watched two movie versions of it), and I only saw one (MacBeth, even though the interpretation — the witches were actually space aliens — didn’t really work for me). Newbery Books I read: I didn’t read a single one this year. Shame on me. 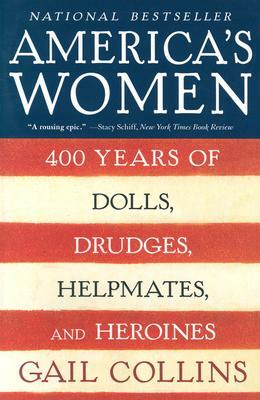 America’s Women, Gail Collins (2004-2005): This was actually a book group read for my in-person book group. And I was blown away. Not only by the subject matter — Collins delves into history (or herstory?) in a very in-depth way — but by the fact that this book was so readable. Up to this point, I wasn’t that interested in history books; history was boring, history was dry. But, this showed me that history could be interesting, fun, and memorable. 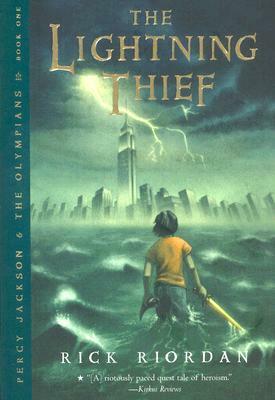 The Lightning Thief, Rick Riordan (2005-2006): One of the things I’m proud of is getting on the Percy Jackson bandwagon before he got really big. I picked this up on a whim — even with the horrid hardback cover — at my library, and couldn’t put it down. It’s not deep, but it is clever and I thought, from the outset, that Riordan’s use of Greek mythology was brilliant. I’m just glad that my girls (well, M and C) love it as much as I do. 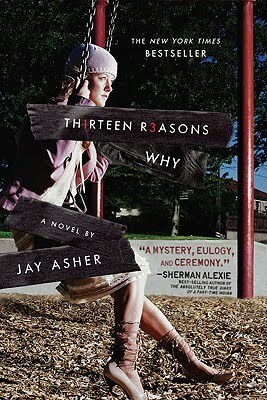 Thirteen Reasons Why, Jay Asher (2006-2007): I don’t usually write letters to authors. (Well, unless I want to interview them, anyway.) But I finished this book — I won the ARC in a giveaway — and I was blown away. Literally. It’s one of those books that changed the way I see people, affected me deeply, and I needed to share that with the author. It’s not for everyone, but I do recommend it, and loan my battered ARC out, whenever I feel it’s right. Because it’s an amazing book. 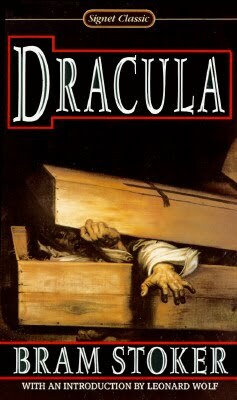 Dracula, Bram Stoker (2007-2008): I avoided Carl’s RIP challenge for years, because horror and mystery are not my “things”. For some reason, though, this year I decided to sign up for it, and I picked Dracula as one of my reads. (Possibly chalk it up to being interested in vampires due to Twilight…) I was amazed. Completely and utterly blown away. I was reminded that I did, once, love horror (I went through a Poe phase), and that it’s not the gore that I love but the mood. That spine-chilling, goose-bump inducing mood. And Dracula has that in spades, which thrilled me to no end. 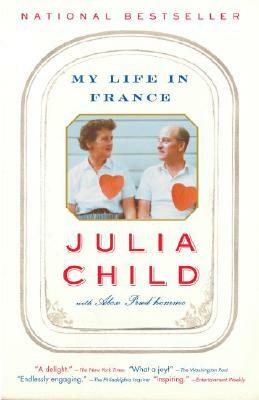 My Life in France, Julia Child (2008-2009): I love food books, and so I knew going in that I would like this one. I wasn’t prepared, though, for just how awesome Julia Child was. Determined, focused, funny, amazing. I loved her joy, and how that joy — of love, of life, of food, of France — came through in her stories. It did lose a little steam near the end, but by that time I was invested: I am, unabashedly, a Julia Child fan. And I would happily read this book over and over again. My Most Excellent Year, Steve Kluger (2009-2010): I adored this book. Hands down. 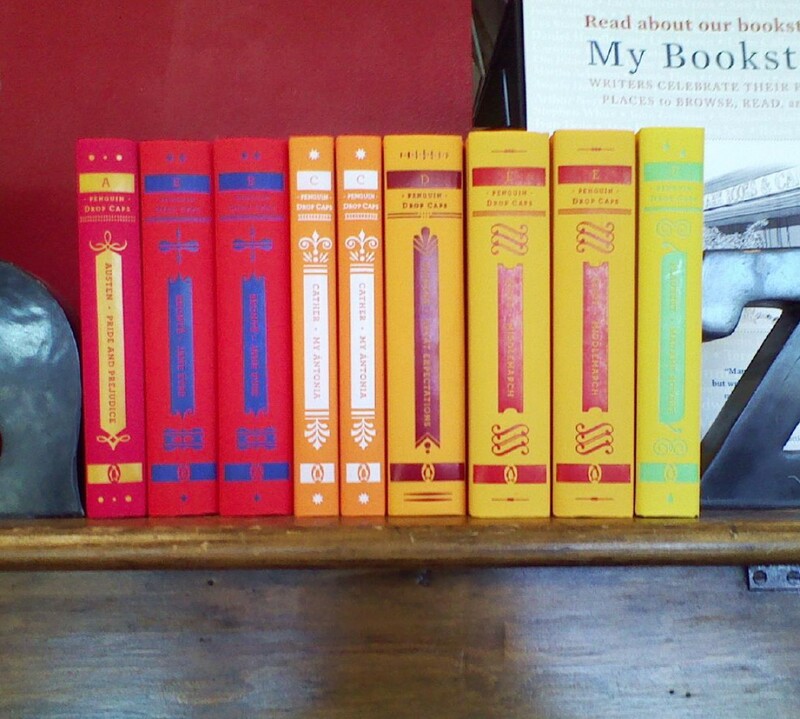 As much as I adored The Casson family books by Hilary McKay. (They should be on this list; but the reasons why are similar to the reasons for this book, so I excused them.) I fell in love with the characters, and I want to move in next door to them and be their friend. I want them to take me in, and let me bask in their awesomeness, their quirkiness, their uniqueness. I was charmed the entire time I was reading about them, and I feel that, somehow, my life is better for having visited their world. It’s become a comfort read, something to pick up when I’m feeling down, because I know, without a doubt, that I will be happier when I finish reading. So, what are some of your all-time favorites? You do it three times, and it’s a tradition. Presenting my best of list for this year. Best Adult Fiction: People of the Book or Sweetness in the Belly. I couldn’t decide. Best Mysteries: Perhaps I should say best mystery writer? The Woman in White and The Moonstone. Books I should have read AGES ago: Tess of the D’Urbervilles, The Screwtape Letters, The Stand, The Wee Free Men, Fire and Hemlock, Speak, and My Life in France. Theme(s) that inadvertently manifested themselves: Women’s bodies (Intuitive Eating; Perfect Girls, Starving Daughters; Artichoke’s Heart; Models Don’t Eat Chocolate Cookies); Baseball (The Brooklyn Nine, All the Broken Pieces, The Girl Who Threw Butterflies); Jane Austin (The Darcys and the Binglys; Pemberley by the Sea, Jane Austen Ruined My Life, Becoming Jane Austen); Darwin (The Adventures of Charley Darwin; The Evolution of Calpurnia Tate; Why Darwin Matters; I didn’t get to Charles and Emma, but I wanted to…). Genre I’m getting tired of, finally: Vampires. Best Interviewee: Aaron Reynolds and Neil Numberman, followed closely by Shannon Hale. Number of Fantasy books I read: 57. Choosing the “best” was REALLY hard this year! Authors everyone else loves that I discovered I liked: Terry Pratchett (fave: A Hat Full of Sky), Sarah Dessen (fave: Lock and Key), Elizabeth Scott (fave: Something, Maybe), Georgette Heyer (fave: The Talisman Ring). Newbery Books I read: The Graveyard Book. Pathetic. I need to get back to reading those again. Here’s to another great year! What were your favorites this year? 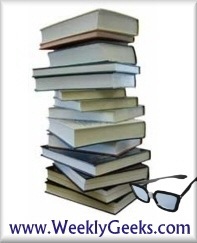 This year, when you submit your novels, you must include the genre it is from as well. Last year, when I was trying to categorize everything, I had to guess on a lot of novels and I know there were some people who disagreed with my choice. If there are any contradictions in genres (say if a book was selected for two genres), then the Weekly Geek Staff will vote on where it goes (please?). We’re trying to gather as many lists as we can, so we can come up with a nice comprehensive list. You’ll have two weeks to come up with your list before I begin compiling the voting booths. Then we’ll put it to a vote. Last year, we ended up with over 1300 individual voters and I know we can make it just as big this year. I’m sending out a personal plea: let’s get some kidlit on this list, okay?! Okay, there’s my list. What’s yours? We’re supposed to, today, spotlight blogs we absolutely love that didn’t make the shortlist of the BBAW awards. This was actually difficult for me, since many of my friends didn’t make the shortlist! I feel like I really know Corinne at The Book Nest, Dawn at My Thoughts Exactly, and Tricia at Library Queue, even though I’ve never met either one of them, mostly because the four of us are part of an online book group that Corinne started three years ago. They’re all amazing women: smart, talented, inquisitive. Talking books (and other things) with them is part of what makes my blogging and book experiences so much fun. I’ve been following Kailana at The Written World and Heather at A High and Hidden Place for quite a while, but it seems like in the last year — possibly because of Twitter? — I’ve been paying more attention to them and their musings (and well as their incredible reading habits!) in the past little while. I’m so glad I did: I’ve found a ton of books through both of them that I’ve either loved, or are desperate to read. Alysa at Everead is one I discovered — by the benefit of being on the same panel as her — last year during the Cybils. Again, we have similar tastes, and I have gotten a lot of recommendations from her. I admire her passion for books, and her enthusiastic spirit. I just wish she was able to blog more!!! And, last but not least: Melissa at One Librarian’s Book Reviews. Melissa’s a new friend — she’s a relatively new blogger! — and I think she found me first. But, I’m so glad she did, and she left a comment (or two or three), and that I clicked through to see who the “other” Melissa was. Not only do we share similar tastes, she’s a great writer, who writes interesting, thoughtful posts. And check out her posts from her trip to Europe this summer. Fabulous. There. Now that you’ve been introduced, you can stop by and say hi to some of my friends! Looking at the list, I can see that my old habits are still manifesting themselves: I like books by women authors, mostly about girls. I liked all three of the fantasy-middle grade crossover books. There are three historical fiction, but mostly it was realistic fiction that took the day (not counting the one horse book I found I liked). I’ve thoroughly enjoyed working with the other members of my panel; they’re smart, passionate readers and we had a great pile of books to work though. Our two chats, and multiple Yahoo group discussions have been fascinating and enlightening and thought-provoking. It’s one thing to sit here and blather about how much I like a certain book; an entire other one to chat with six other people and have to come up with reasons in favor or against said book. It’s been a marvelous experience, one I’m very glad and grateful to have been a part of.